Early settlers who ventured into this tract of land found it so wild they referred to the main valley as “a town of painters.” This town of painters – an ancient Appalachian term for Panthers – has vocally transformed into the modern day Panthertown Valley. Panthertown’s land has switched hands many times over the years. During the 1920’s a symphony of axes, saws and dynamite filled the valley as loggers harvested virgin timber. In the 1960’s Liberty Life Insurance purchased the Valley; intent on damming the Tuckaseegee to create a lake resort. Those plans never came to fruition. 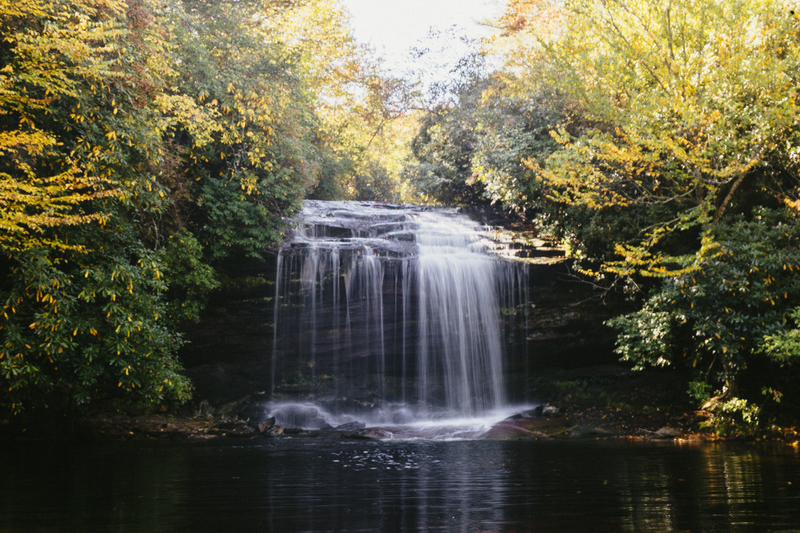 Lucky for us, the U.S. Forest Service acquired the land in 1989 and placed it under the jurisdiction of the Nantahala Ranger District. Today the valley is home to an intricate network of trails which wind through Panthertown’s unique landscape. Hundreds of millions of years ago forces within the Earth melted mountain d rocks which later cooled and hardened into mountainous "granite plutons". Over many millennia the forces of erosion have rounded and revealed these towering monoliths within Panthertown Valley. The Valley’s trail system leads visitors by the bases of and to the tops of these rounded cliff-sides. The Valley has become a popular destination for hiking, biking, climbing and horseback riding. Regardless of the crowds, an escape to serenity is little more than a foot path away in Panthertown. The Forest service maintains a network of signed trails which most people will instinctively follow. In addition to these “hiking highways,” a labyrinth of unmarked and unnamed “faint-paths and foot-trails” have been developed over the years by a wily group of local enthusiasts. Venturing out on these lesser known trails can be exhilarating and empowering, but sometimes just plain dangerous. Pick up a copy of A Guides Guide to Panthertown, by long time Valley enthusiast Burt Kornegay, bring your compass and GPS, mark your divergences, and then go explore! 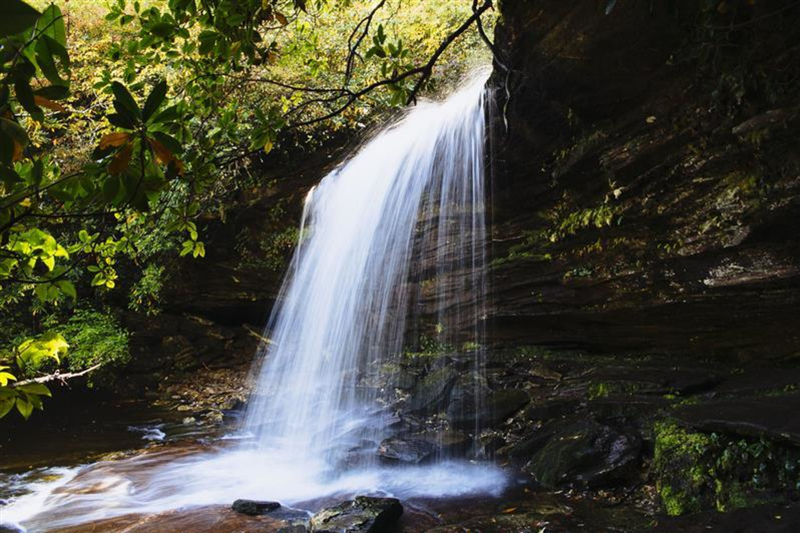 Panthertown’s terrain has created a land of waterfalls which plummet raucously over laurel lined rock faces. Between falls these creeks meander slowly through groves of luscious growth along the valley bottom. Tannins from decaying vegetation in the bogs stain the waters of Panthertown an intriuing tea-color. Sandy beaches and water-carved plunge pools, line the creek banks and offer a reprieve from sweltering summertime temperatures. Come to Panthertown in the heat of the summer, bring your swim gear and take advantage of all the aquatic opportunities in the Valley. An hour and 20 minute drive from Asheville will get you to the Cold Mountain Gap trailhead. Explorers can gain access to the East side of the Valley from Salt Rock Gap Trailhead. Take the Panthertown Valley Trail for a quick viewpoint from Salt Rock, then continue down into the valley to soak up the sun's rays at the Sandbar Pool! 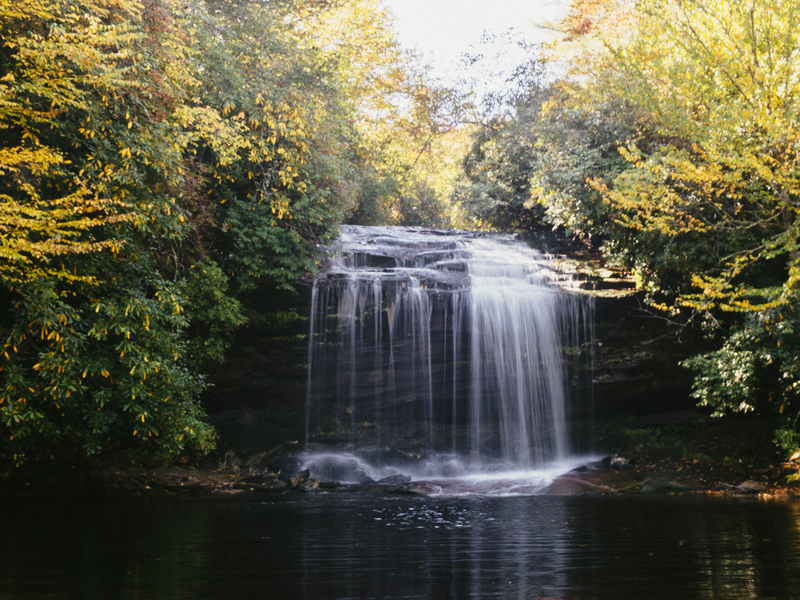 There is no fee to visit Panthertown Valley and many established backcountry sites are available. Dogs are welcomed, but be bear aware, and practice Leave No Trace principles on your visit.